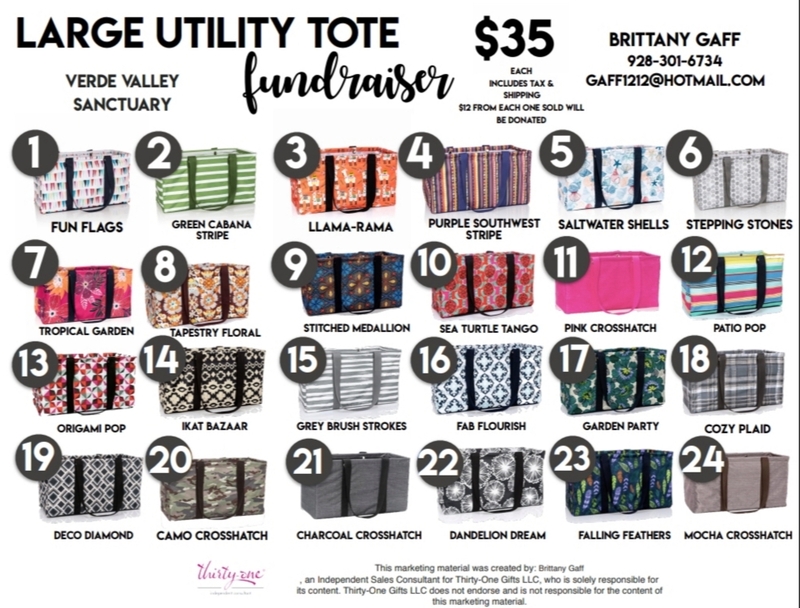 Purchase a Large Utility Tote from Thirty-One Gifts for $35 and the Verde Valley Sanctuary will receive $12 to support our 24 Hour Operations. Help us reach our goal of 100 totes sold. Select a color from the options below and enter the corresponding # on the order page.